When Toru Iwatani hungrily stared into his pizza box, containing 2 slices short of a full pie, the idea for one of the greatest arcade games was born. At 27 years, the japanesse student came up with the idea for Pac-Man - a game that became legend, and spawned numerous sequals and clones. At the time, electronic gaming with a business with few success stories. Games like Asteroids, Space Invaders, Pong, and Break-out were all great games, but none of them were popular with main stream society. 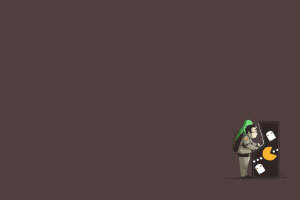 A year after the idea was conceived, the game was finally finished and released. It took the world by storm and soon became a household name. Midway first released the Pacman arcade in 1980 as both an upright and cocktail table model. Two variations of the upright were made; the standard arcade model had art on the sides and below the coin slots, and the Mini-Myte model had a woodgrain pattern in those areas. 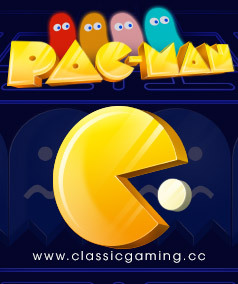 Namco re-released the arcade version in 1996 as part of the Namco Classics Vol. 2, which includes an "updated arrangement" of Pac-Man. Atari published the first wave of home versions: 2600 (1981), 5200 (198? ), 400/800 (1982), Intellivision (198? ), PC (1983), Commodor 64 (1983), Vic-20 (1983), Apple (1983), TI-99/4A (1983), and Spectrum (198?). 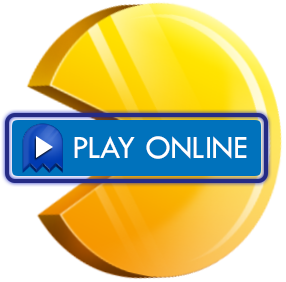 Over the years, Pac-Man's popularity called for more diversity and gameplay. Society cried for something new and fresh. Like most success stories, the creators decided to expand on the original idea. Like many marketing preach, "When you have a great idea, just make it better." This thoery gave rise to Ms. Pac-Man the following year, in 1982. Ms. Pac-Man was similar to the original, but put a fresh face on the main character. In 1983, Jr. Pac-Man was introduced, this time adding a larger play area, where the user would "scroll" between areas. From there came Pac-land, a platform scroller, and then Pac-Mania, placing Pac-Man in 3D. From there a whole field of Pac-Man games grew without limit. Pac-Man 2, Pac-Man VR, Pac-In-Time, Pac-Man 3D, etc. For an entire list of sequals, see our Sequals Page.